With Seattle granted an NHL expansion team set for play in the 2021-22 season, a number of outstanding jersey concepts and designs are being created and floated on social media in hopes of being considered for their own shot on the ice in the Emerald City. When news broke last week that Seattle would be granted the next NHL expansion team, questions immediately followed about what the team name would be, what the team logo would look like, and – you guessed it -- what the sweet new jerseys would look like. Then again, this is a topic of discussion that actually dates back a couple of years now once rumors circulated that Seattle and their 30-member ownership group put in a bid to become the 32nd NHL team. The concepts. The color schemes. The fine eye for detail has all been on point when it comes to these original jersey ideas. And while the team won’t actually begin play until the 2021-22 NHL season, expect the organization to take their time as the Emerald City prepares for the return of their first professional hockey team since the Seattle Metropolitans of the Pacific Coast Hockey Association, who were the first team in the United States to capture the Stanley Cups in 1917. In the meantime, check out just some of the jersey concepts being floated around from the Seattle Aviators, to the aforementioned Seattle Metropolitans, and the legendary sea monster dubbed the Seattle Kraken, just to name a few. One thing is for sure: there are a lot of truly talented artists and graphic designers out there submitting quality detailed work on potential possibilities for this new Seattle NHL franchise. Move over John Stockton and Karl Malone. When Donovan Mitchell and the Utah Jazz take the floor against the Portland Trail Blazers on Christmas Day, they’ll be rocking these fresh new “Earned” (and leaked) alternate jerseys. Imagine this. You hit up your local national chain sporting goods store to grab yourself a dope new jersey from your favorite NBA team. Stoked, you head to the cash register to make your purchase only to be told the jersey isn’t for sale? Wait, what? 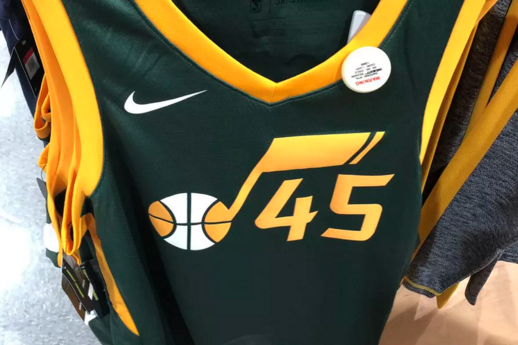 That was the reality check recently for one Utah Jazz fan who looked to cop one of Nike’s “Earned” alternate jerseys (apparently the jerseys were put out on the sales floor by mistake). Not cool at all. But the leaked photo and disappointed Jazz fan isn’t the real story here. The fact of the matter is, this green Jazz jersey with yellow trim that will make its debut against the Portland Trail Blazers on Christmas Day just might be the best looking jersey in franchise history. No offense to John Stockton and Karl Malone rocking the signature purple and white uniforms with “Jazz” scripted across the front, but there is something to be said about the simplicity of his “Earned” alternate jersey featuring the music note and player number. For Jazz fans who rushed to purchase the red and orange “city edition” Nike dropped back in March and quickly became the fastest selling jersey for Utah, this “Earned” version might make a little history of its own. Just don’t try to get them early. The new league. The new look. 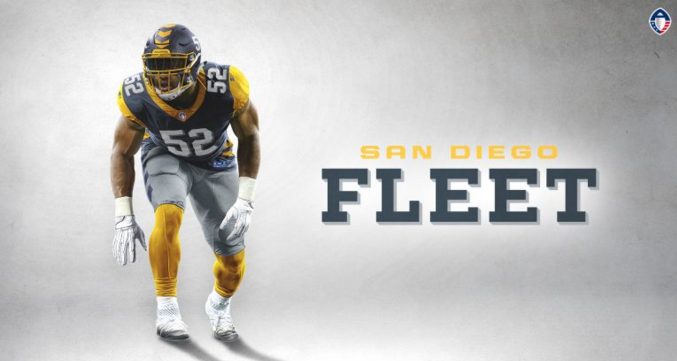 The new chance to make some noise in professional football as the Alliance of American Football recently unveiled their city inspired uniforms for the eight teams kicking off the 2019 season this coming February. When the 2018-19 NFL season concludes with the Super Bowl, that’s not the end of professional football for the year. It’s only the beginning of good things to come. The Alliance of American Football (AAF) and their eight-city league kicks off their 2019 inaugural season in February with the Arizona Hotshots, Atlanta Legends, Birmingham Iron, Memphis Express, Orlando Apollos, Salt Lake Stallions, San Antonio Commanders, and San Diego Fleet all hitting the gridiron. The AAF will play a 10 week, 40 game schedule and positions itself as both a compliment to the NFL and a league based on player development and growth opportunities for players. At the end of November, the league unveiled its team uniforms with color combinations intended to reflect the unique spirit of the cities making up the AAF. The one phrase that keeps coming to mind when taking a closer look at each of the eight city jerseys is, “less is more”. Very clean. Not over complicated. It does make you wonder if the AAF will reveal any alternate jersey options looking beyond merely year one with any city names or logos stitched across the front. Visually, that may add another layer to make the jerseys pop that much more. For now, however, the AAF is going with the safe bet is selecting simple designs easily appealing on the field and to fans as they get set to launch their upstart football league. That’s one touchdown the AAF has scored already.